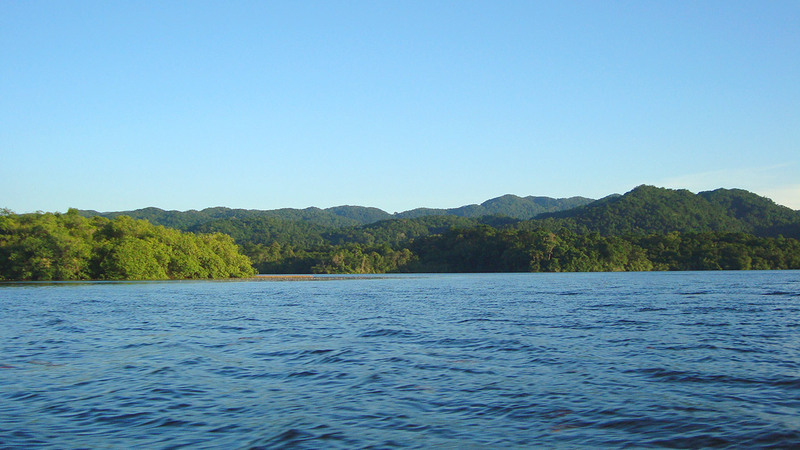 The Sarstún river Multiple Uses Area consists of 35,202 hectares. 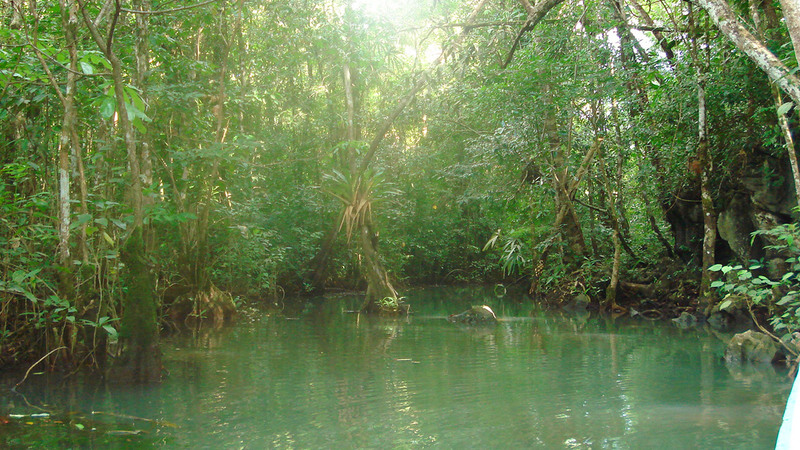 It is recognized as a wetland of global importance and is integrated into the biological corridor of the Caribbean of Guatemala. 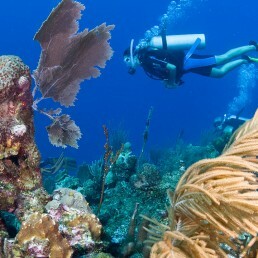 It provides a place of shelter, growth, and reproduction for the fauna and flora of the place, having at the same time a symbiotic activity with marine and coastal ecological systems. Here you can see 116 species of reptiles, 148 species of birds and 52 species of mammals. Maya Q’equch’i communities are located in this protected area . Plan Grande Quehueche, Q’eqch’i community offering sustainable tourism experiences. 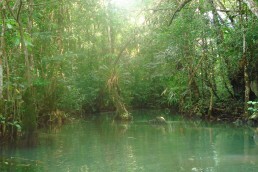 Quehueche river that offers the attractiveness of the river combined with mangrove forests. 7 Altares, formed by seven natural ponds surrounded by virgin nature. Punta Cocolí, right next to the Tapon river and Playa Blanca, where you can enjoy a white sand beach and crystalline waters. It is also recognized for being a place where manatee comes to eat. 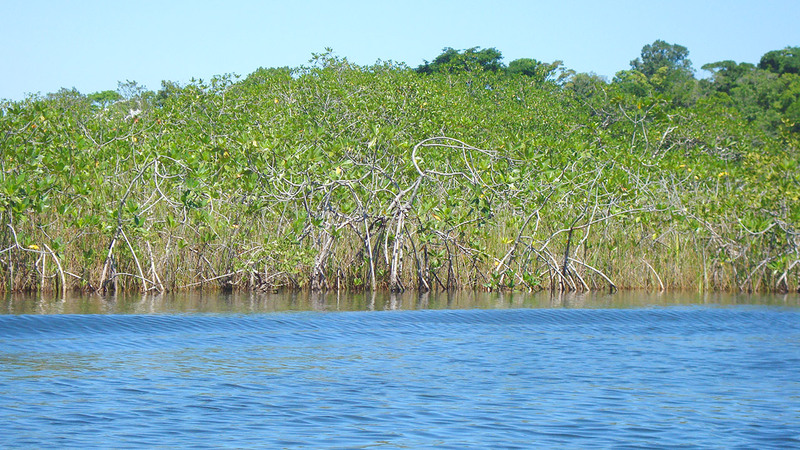 Laguna Grande, manatee´s migration, feeding and rest site. 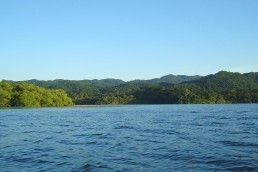 Here you can practice sport fishing, enjoy the benefits of sulfer water and the mangrove view at the river . 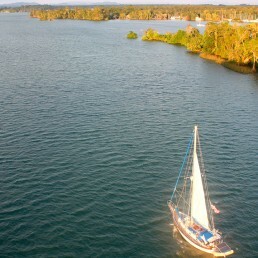 Sarstún river which is a natural border between Guatemala and Belize. 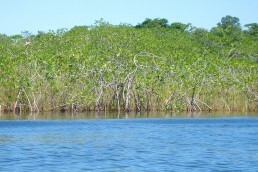 It is a main site for fishing tarpons and sea bass, watching river turtles and possibly crocodiles. Tatín river headwaters, one of the main rivers in the area, supplies water to several local communities. From Guatemala City, take the CA-9 North road, towards Puerto Barrios (about 300 km, 4 hours). In Puerto Barrios go to the Muelle Municipal and take a public boat to Livingston (approx 30 mins.). In Livingston you will find the Buga Mama School-Restaurant Information Center, House of Casabe and Laru Beya Association, but if you head towards Cayo Quemado, Agua Caliente or Ak ‘Tenamit, you must take a private boat (approx 35 mins.). 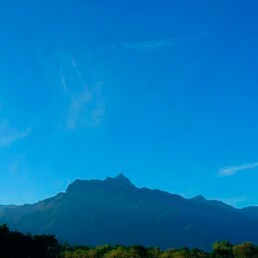 To get to Plan Grande Quehueche you must hire a pick up 4×4 or bicycle for a 6 km route. Comfortable shoes and sandals, swimsuit, towel, water bottle, sunglasses, cap or hat, sunblock, mosquito repellent, binoculars, camera, waterproof jacket.